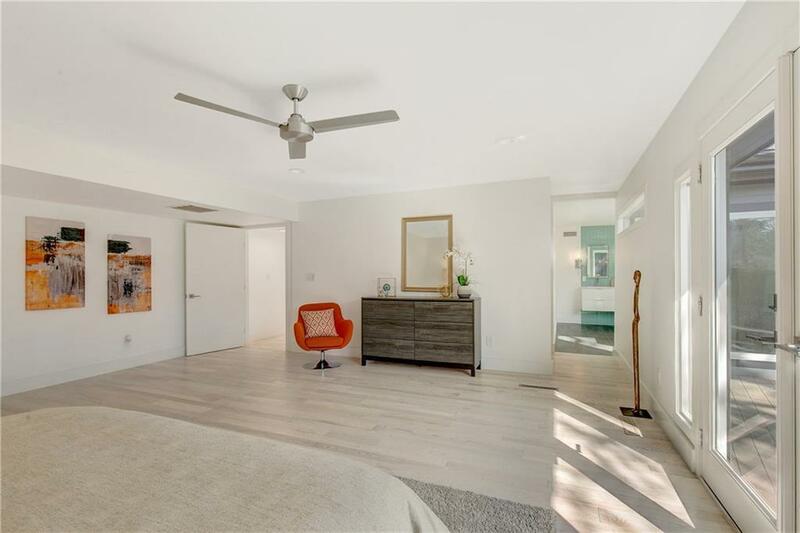 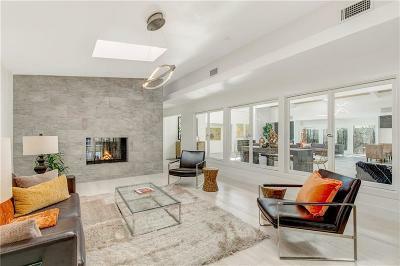 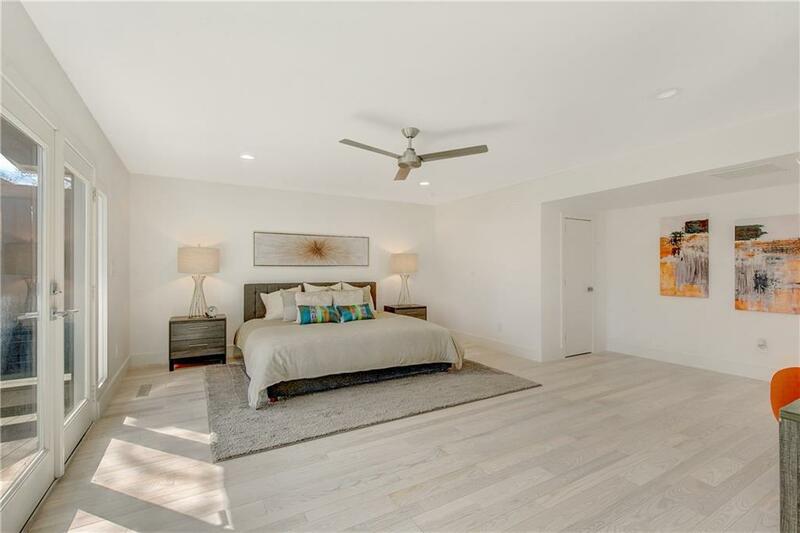 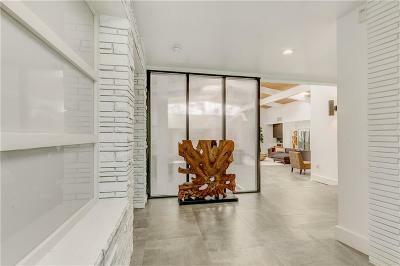 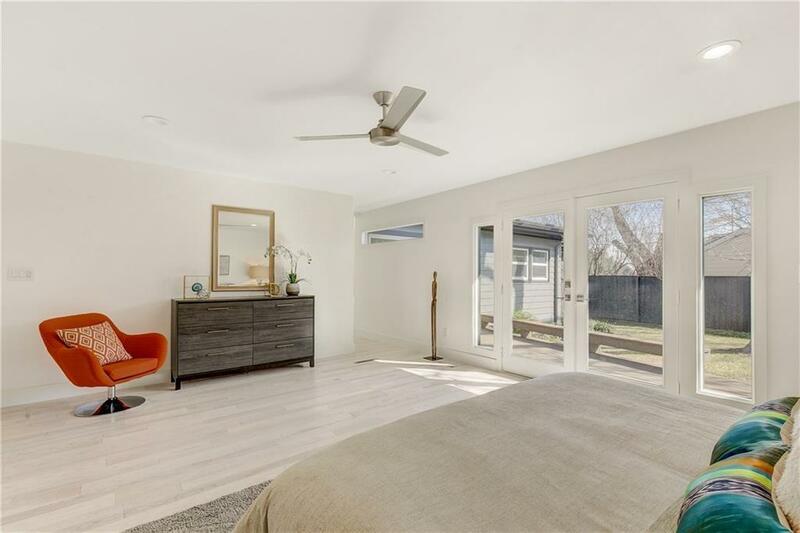 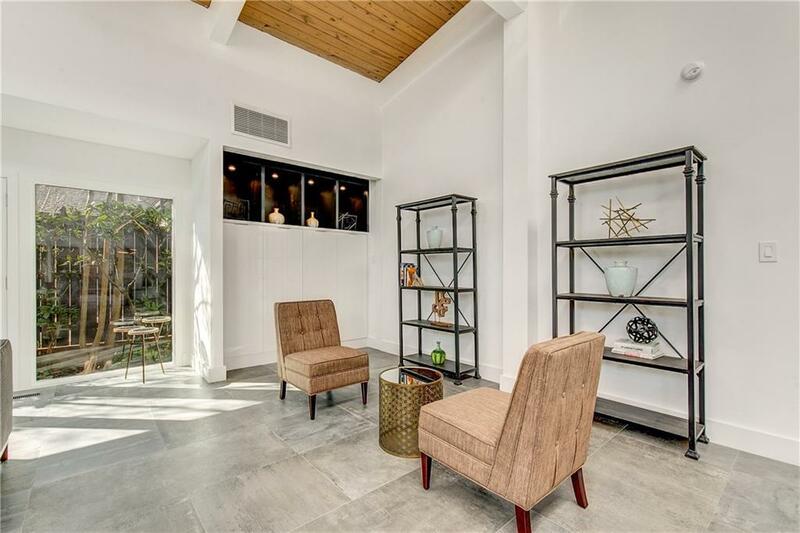 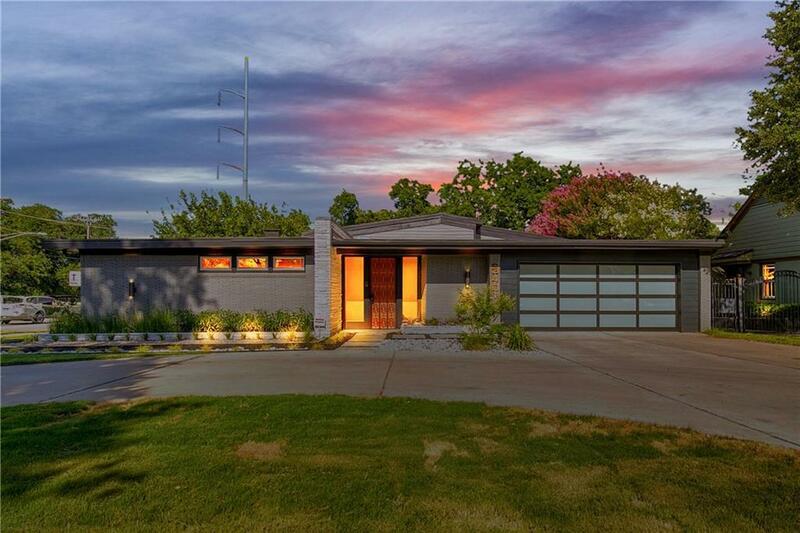 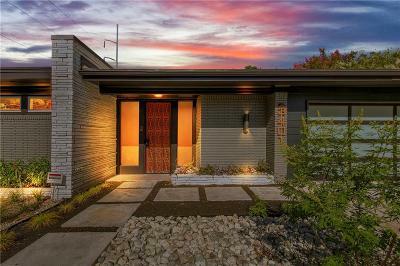 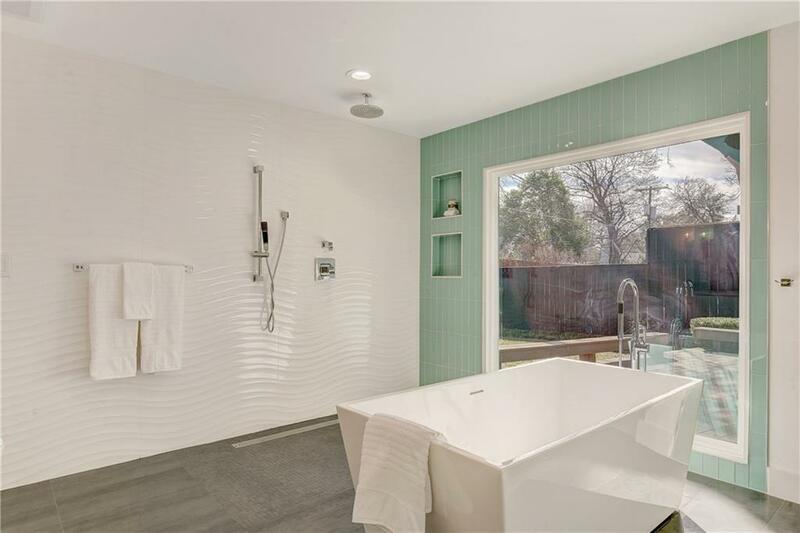 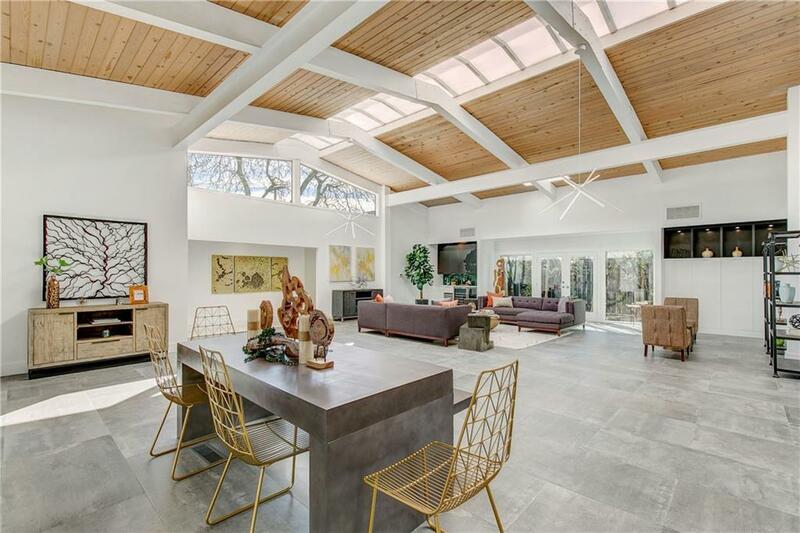 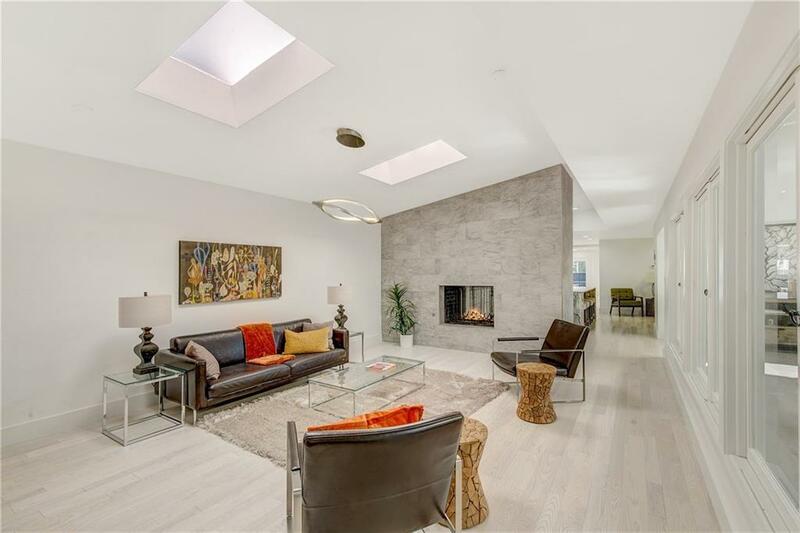 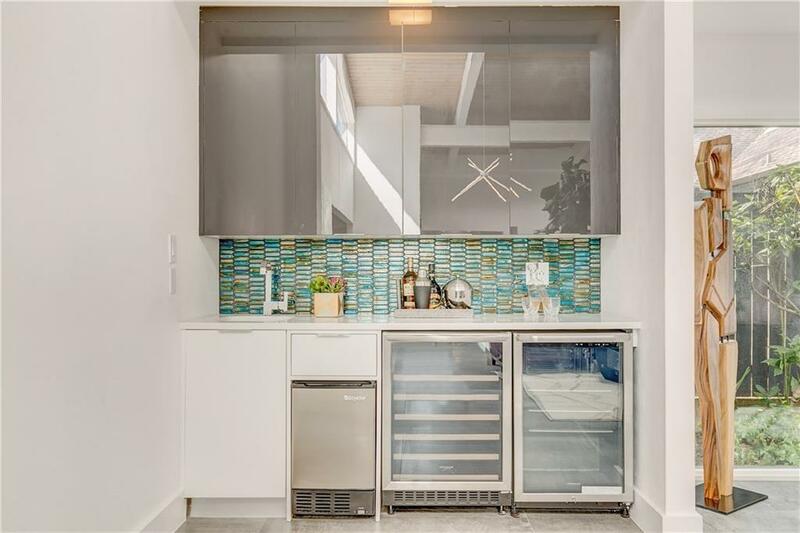 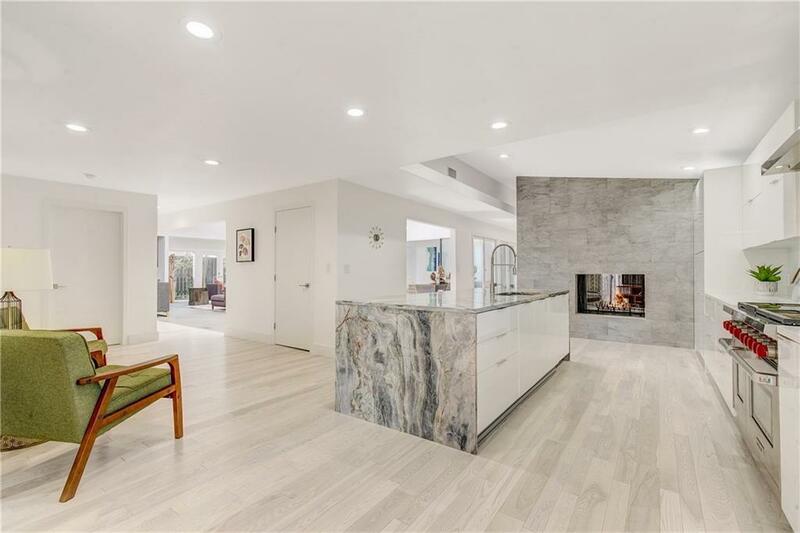 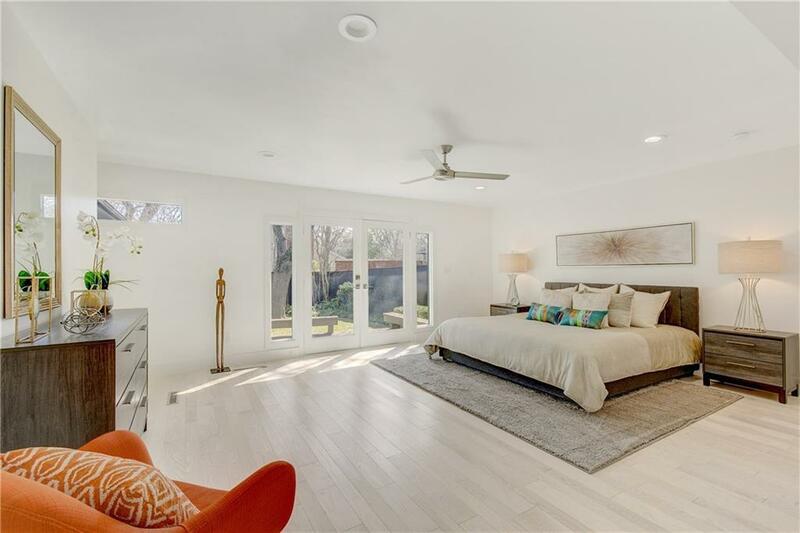 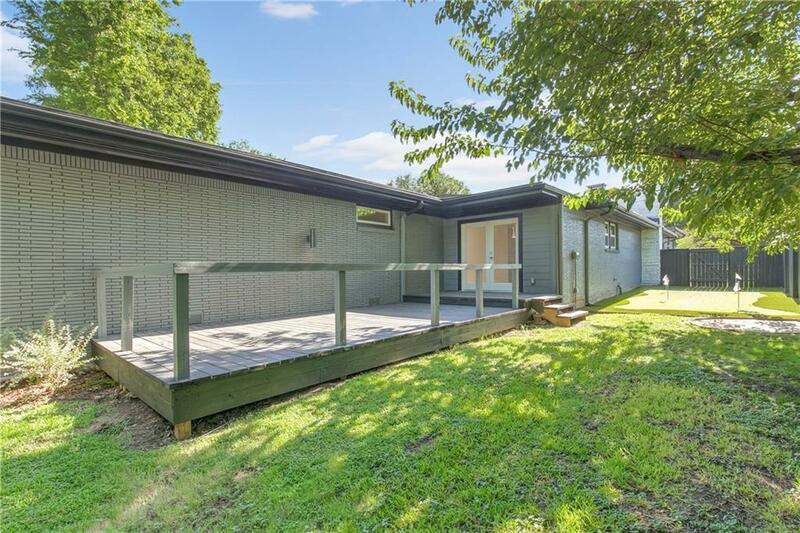 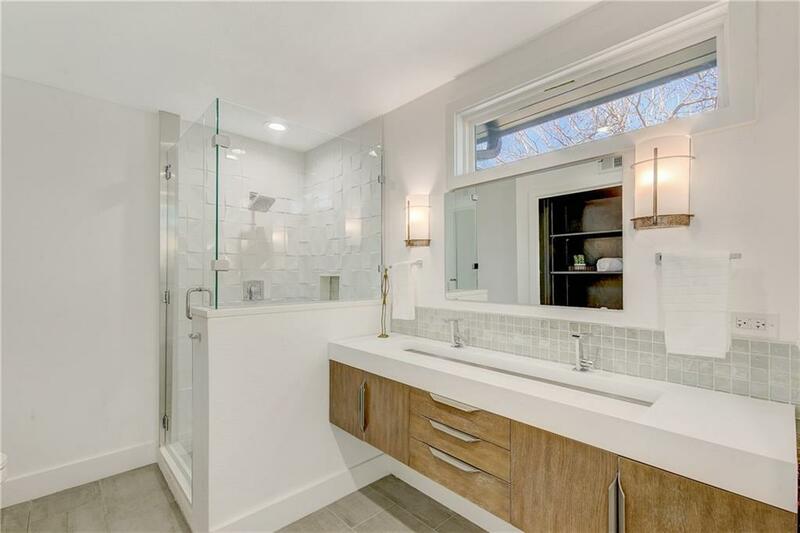 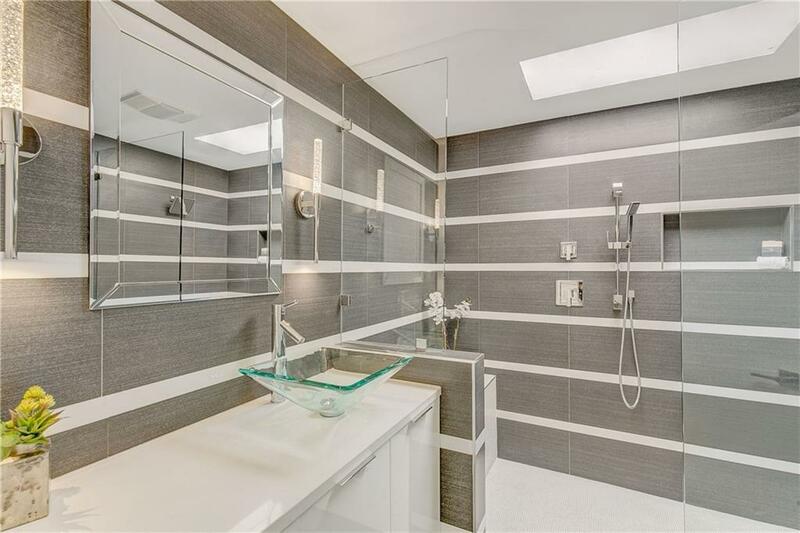 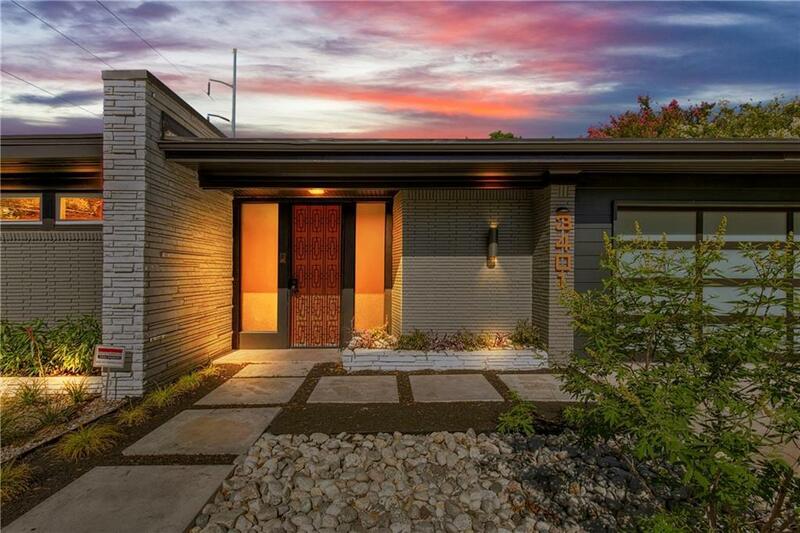 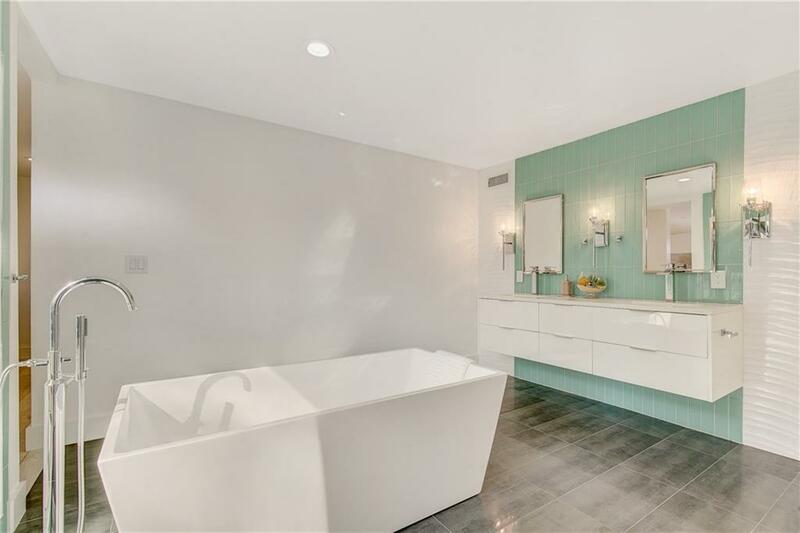 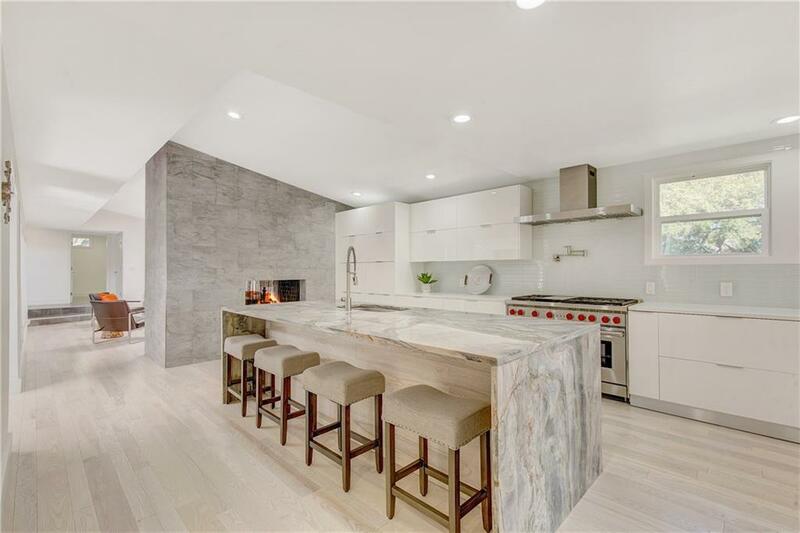 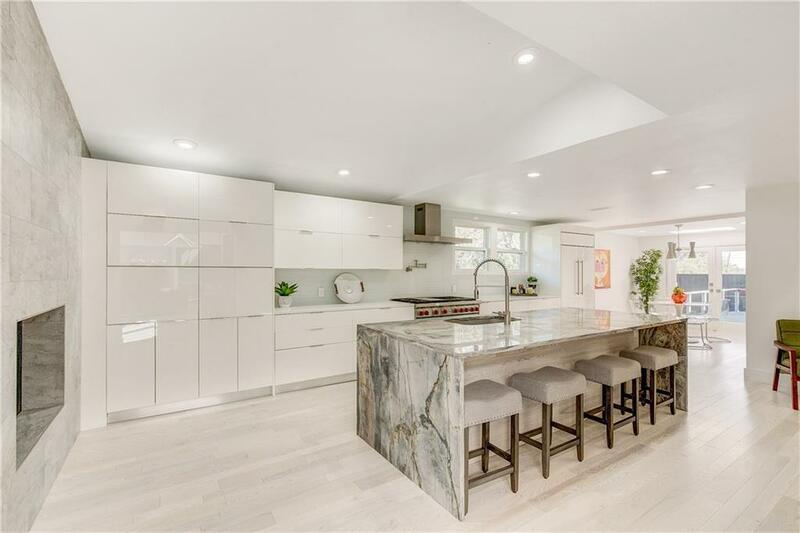 Both comfortable and sensational, this remodeled mid century showplace lends itself to both entertaining and family life. 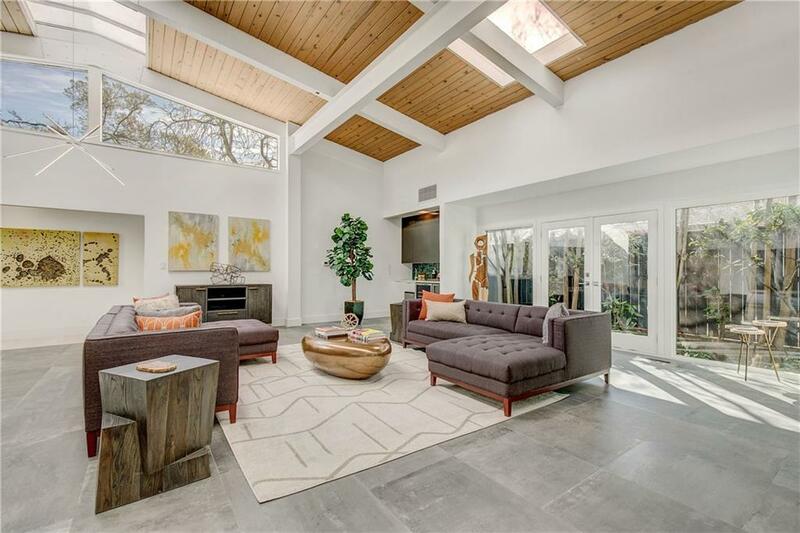 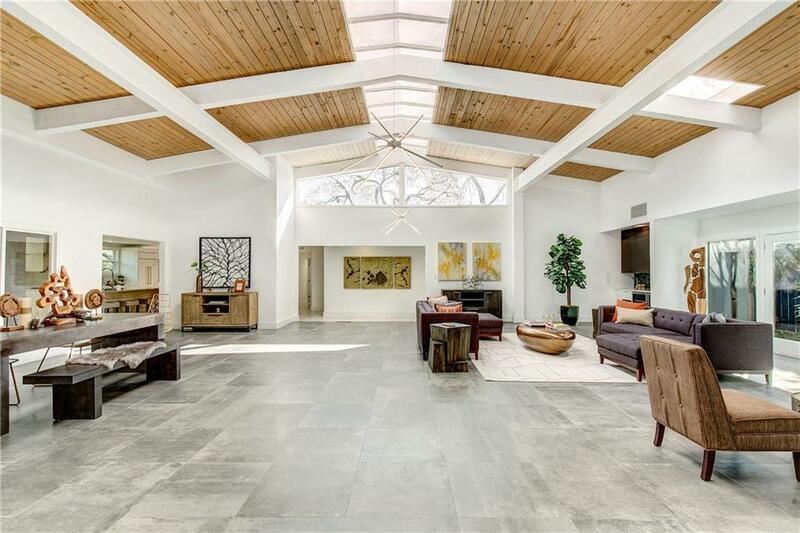 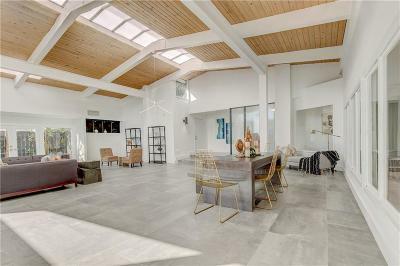 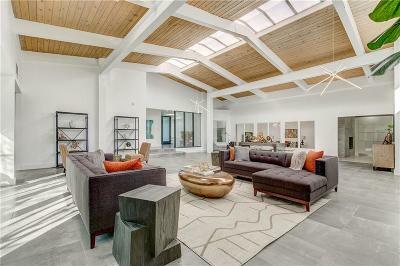 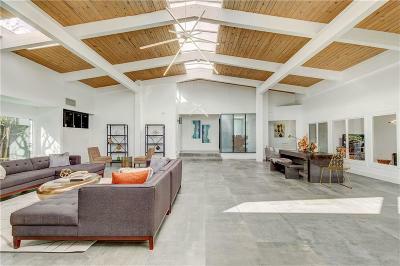 An open entry leads to dramatic living area with soaring ceilings and flooded with natural lighting. 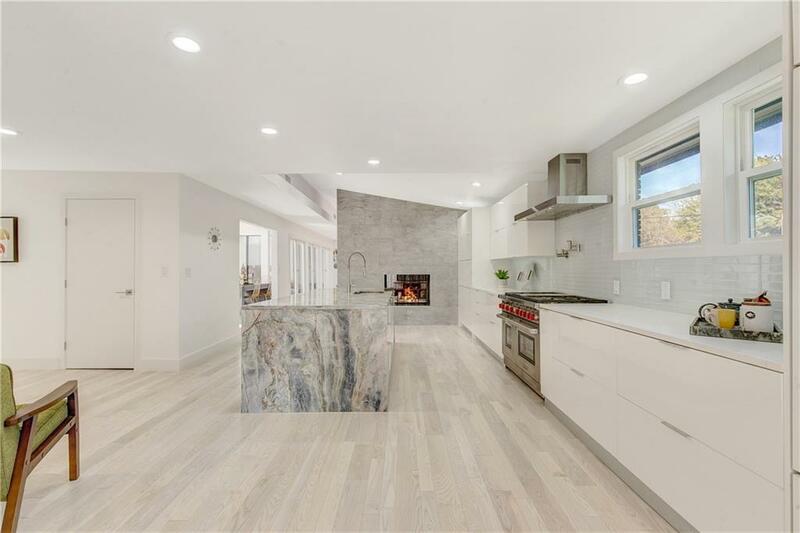 Versatile floorplan, 2 sided fireplace separates kitchen from den. 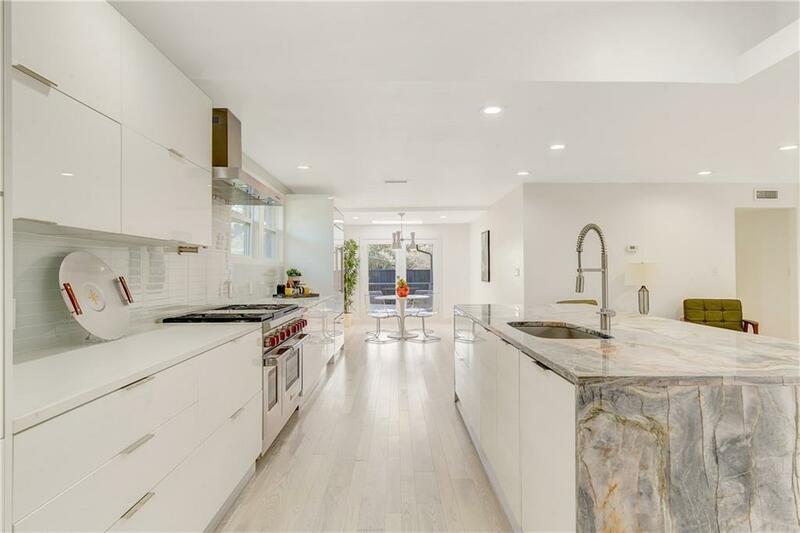 Fabulous kitchen with large waterfall Michelangelo granite island, European style En Pointe cabinetry, Wolf sub zero Asko appliances. 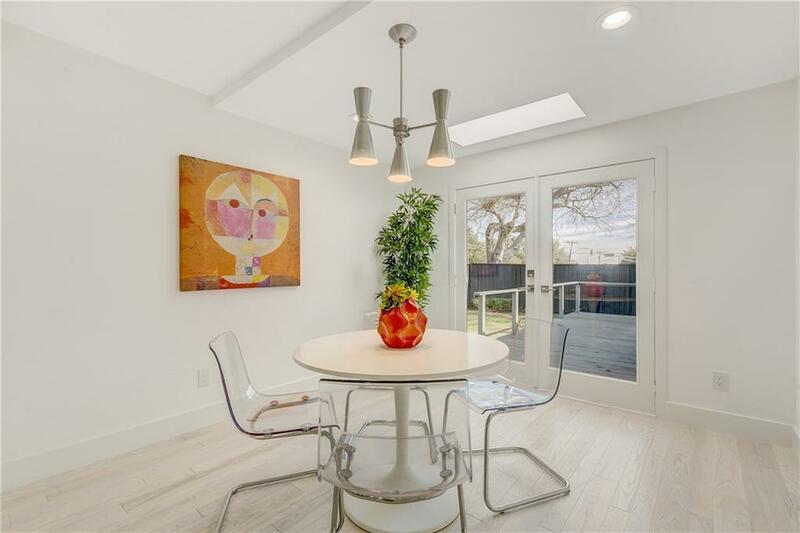 Breakfast room with French doors leading to wood deck and side yard putting green. 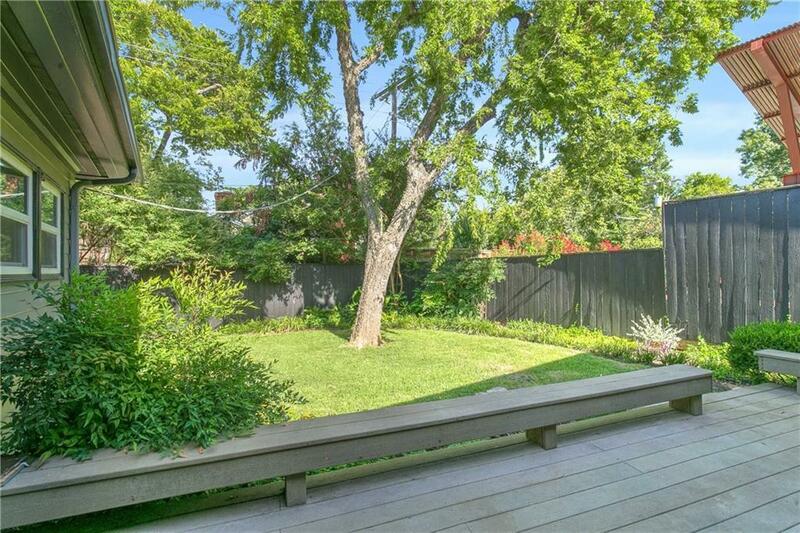 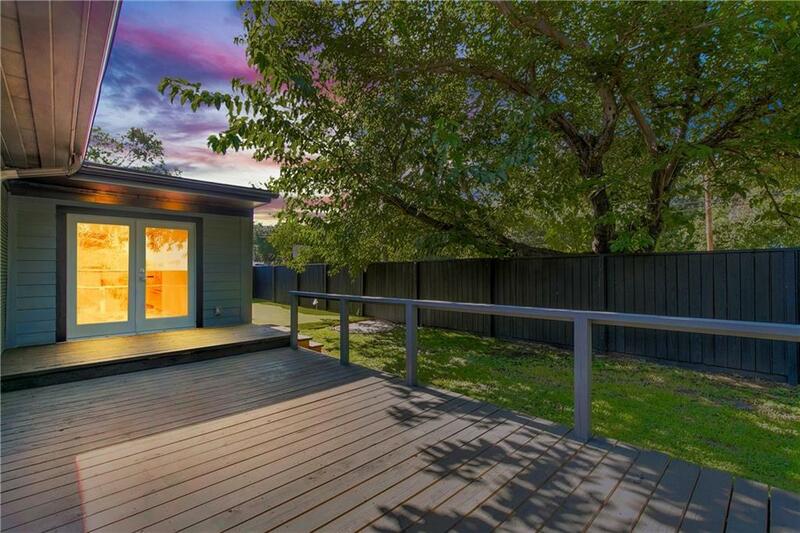 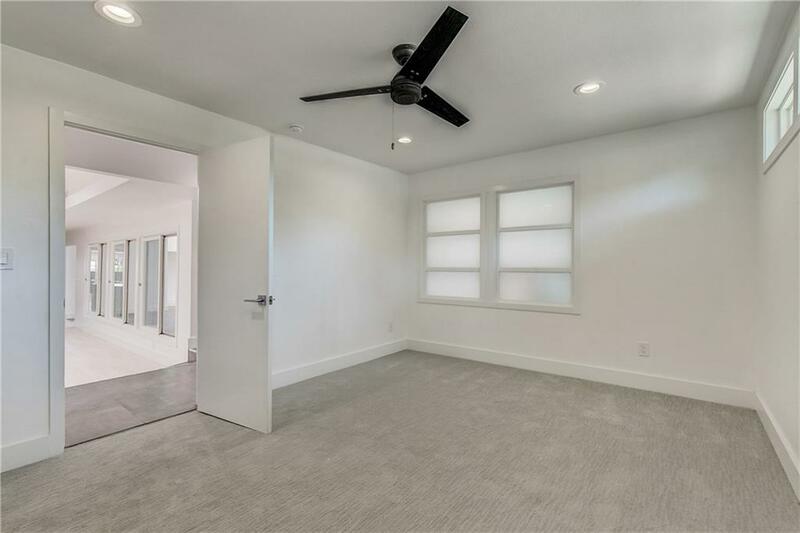 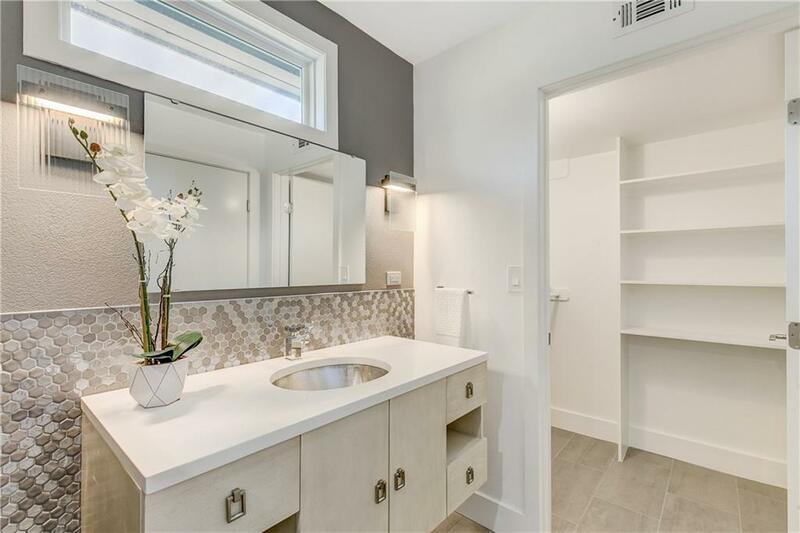 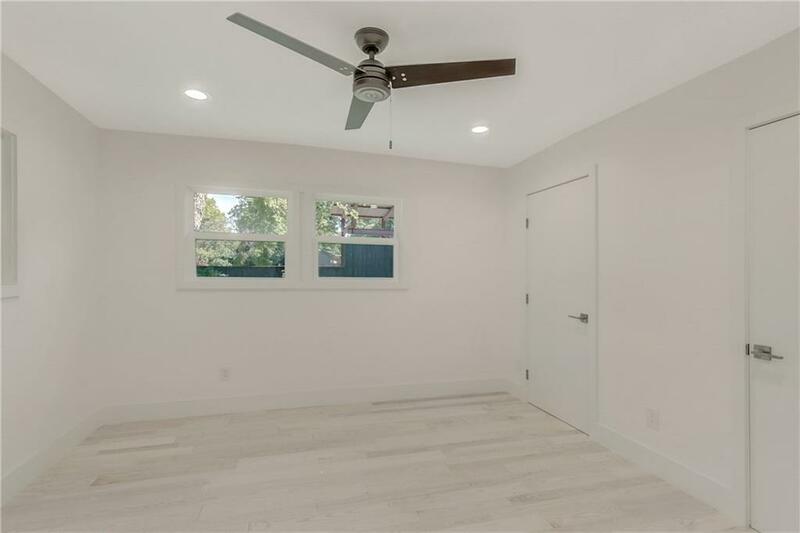 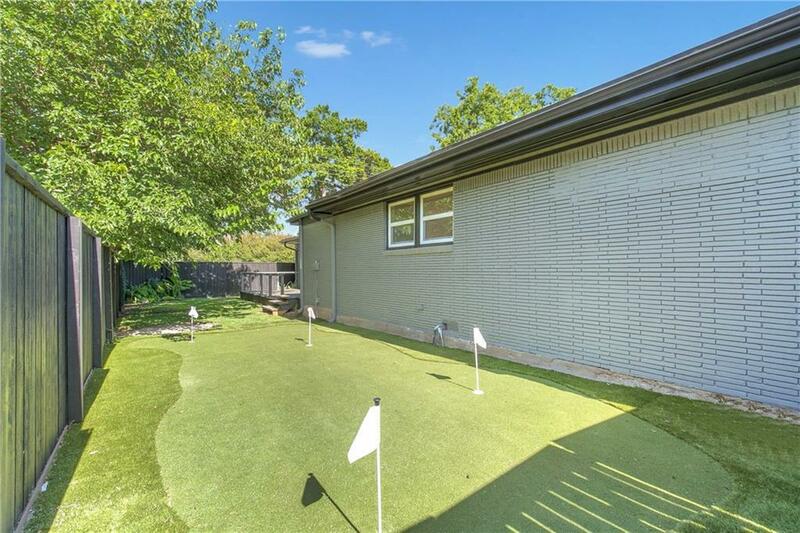 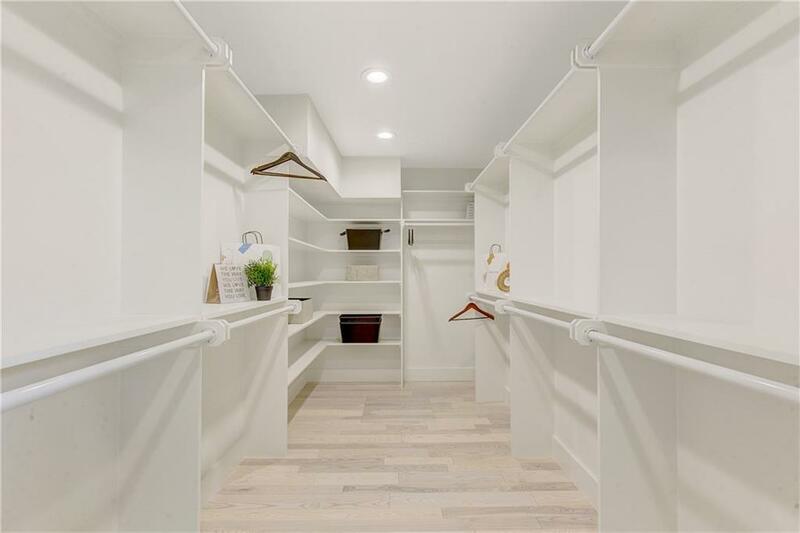 Split bedrooms, the master and back bedroom open to private back yard, and there are 4 striking baths. 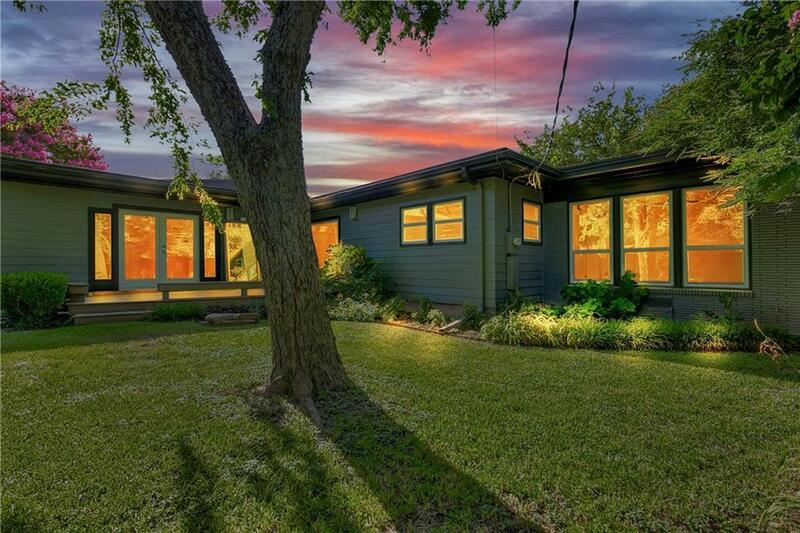 Rarely any sound from traffic on White Settlement while inside the home!